PROMO - 11 October 2016 - IELTS TestBank is 100% FREE to test drive. Upgrade to unlimited access for only 99 cents! The #1 TOEFL Prep Testing System. Let us help you crush the TOEFL. NEW! See your personal worldwide ranking vs. other students. This is a "universal" app, which means that it will run simultaneously on your iPhone, iPad, and iPod touch. • Complete rationale for EVERY question. You will understand "why" an answer is correct. It's all in ONE app! Our goal is for you to gain acceptance into the college or university of your choice and/or receive a scholarship. We know English! Johns Hopkins provides full funding so that every student at Dunbar High School (Baltimore, Maryland) receives our TestBank. 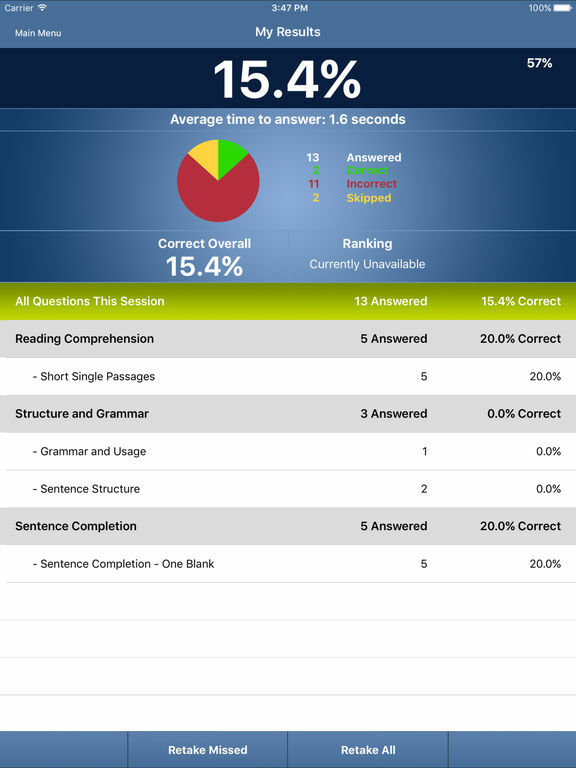 ADAPTIVE LEARNING TECHNOLOGY: TOEFL TestBank is continually re-calibrated every time you answer a question, based on your personal performance. 100% multiple choice questions along with guideline answers focusing on every subject area. Explanations and rationale provided for every question. 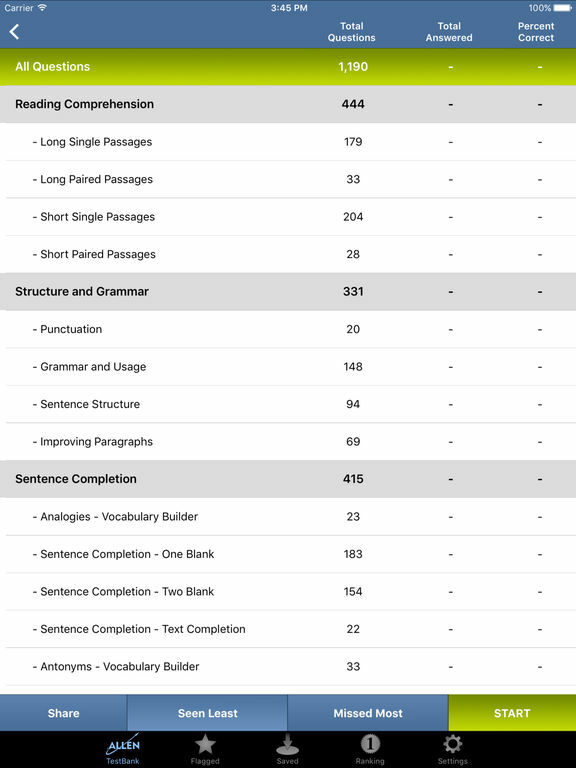 This makes TOEFL TestBank a truly stand-alone program. 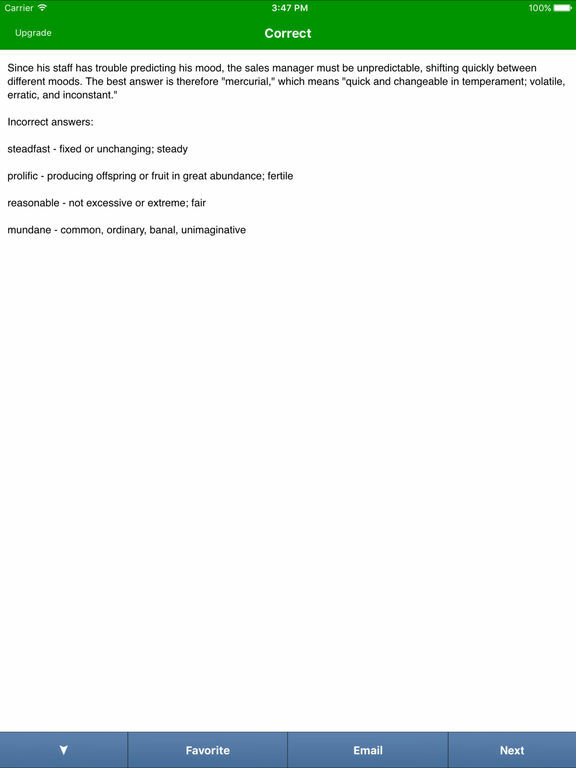 You will not need to refer to another source for rationale while you are using TOEFL TestBank. Everything you need to know is in front of you. Depending on your learning needs or time frame, you can decide to take a specific number of questions randomly selected from ALL of the subject areas, any COMBINATION of the subjects, or an INDIVIDUAL subject. This allows you to target your focus on certain subjects. • The order of the QUESTIONS is always scrambled. TOEFL TestBank keeps you on your toes. • The order of the ANSWERS is always scrambled. Forces you to read/understand each answer choice instead of remembering which answer is correct based on its order. Your performance is displayed when you open the app, allowing you to track your progress and target your studies. 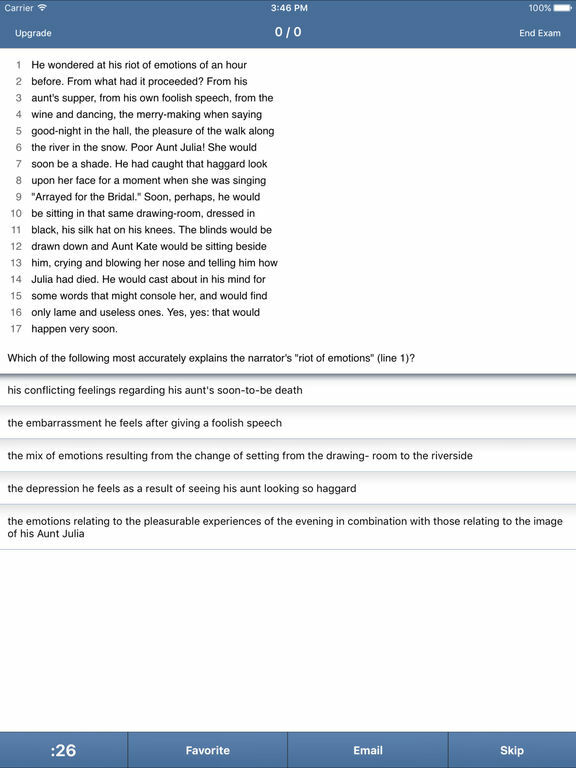 ESL TestBank knows which questions you have seen/answered the least often. When you choose this option, the questions that you have seen the least number of times will display first. 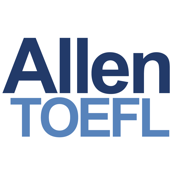 TOEFL TestBank tracks when you get a question incorrect. After using TOEFL TestBank for a while, you will want to focus on the questions that you have missed most often. Price may vary by location/country. Subscriptions will be charged to your credit card through your iTunes account. Your subscription will automatically renew unless cancelled at least 24 hours before the end of the current period. You will not be able to cancel the subscription once activated. Manage your subscriptions in Account Settings after purchase.